Yeah 2012! Photo Joey Vosburgh. The New Year rolled in with great powder, and everything above 1000m is unbelievably filled in. 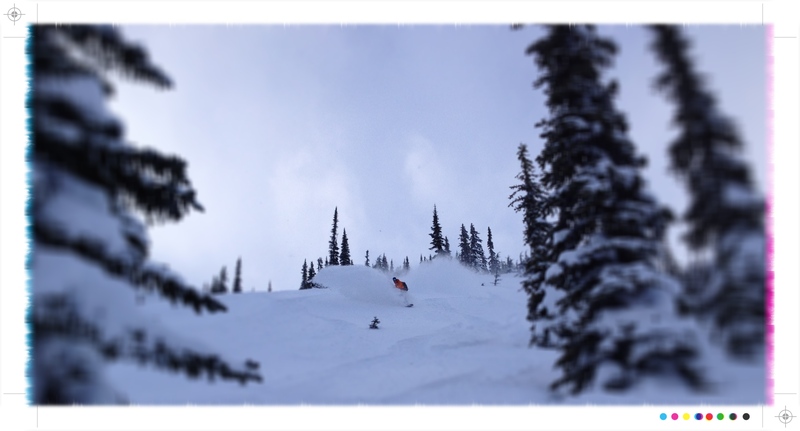 I have only managed a dozen or so days of shreddin’ so far this season, all good but one. Lately things have been really, really good. Joey snapped the above photo on Little Sifton, New Years Day. It was this blog post that convince me to spend the cash on the latest and greatest, mainly the side by side HD Video comparison with a Canon 5D Mark II. Here is my first video effort. Shot, edited and uploaded entirely on the IPhone. 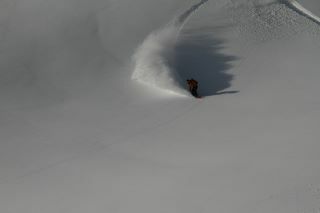 Footage is from Jan 2nd, when we ventured up (believe it or not) Video Peak. Hope you like it! I am headed up to the pass for the second annual SplitFest, looking forward to a great weekend of slashing pow and hanging with friends.